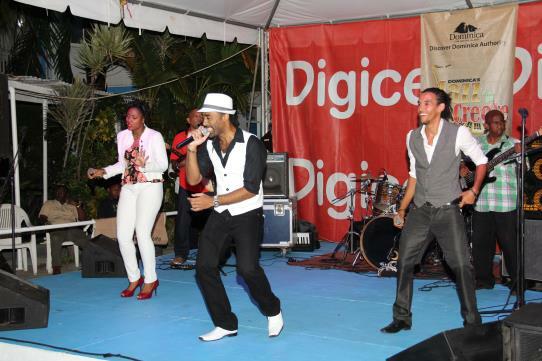 Roseau Dominica – (September 20, 2018) — Dominica’s longest serving musical band, the Swinging Stars has been added to the line-up of the 20th Edition of the Dominica World Creole Music Festival, and will appear on Night Three on Sunday 28th October, 2018, at Windsor Park Sports Stadium, Roseau, Dominica. The Swinging Stars, long regarded as the best dance-band in Dominica and known for their effective and powerful musical accompaniment for Dominica’s calypso competitions, particularly at the popular Stardom Tent, during the carnival season; are among several local acts to perform at the region’s most indigenous music festival, the World Creole Music Festival, from Friday 26th to Sunday 28th October, 2018. The fifty-nine (59) year old musical giants will entertain patrons to the festival and their legions of local and regional fans with their versatility, diverse repertoire and dynamic on-stage presence. They are sure to bring back some of the nostalgic feelings of Dominica’s music and culture, especially to Dominicans from the diaspora who will be coming to celebrate this unique musical treat on the 40th anniversary of the island’s independence.